It's time for Season One Episode 5! We're excited to welcome three speakers, each bringing a different perspective on the topic of increasing the impact of user research on product development. Dara Gruber will share insights on how to bring the user perspective into a product team with the power of qualitative research, stakeholder management and bridge-building activities with PM and engineering colleagues. Dara holds a PhD in Human Factors and Ergonomics and has conducted UX research both at Google (Android Auto, Trusted Contacts) and outside of Google (smart home products, site/building management systems, in-vehicle warning systems). She has spent the past 7 years studying Human-automation interaction with applied foci on navigational decision making, trust, and assistant-based anthropomorphism. Dara is currently a User Experience Researcher at Google Japan focusing on Google Maps. Kazumichi "Mario" Sakata will bring a product management perspective to our topic of research, to talk about feedback loops and validating hypotheses in the product development cycle. Mario is a Product Manager at Pivotal Labs Tokyo, a lean and agile consultant with 10+ years of experience and proven record in user experience design and product management. He is passionate about working with various national clients and enabling team to serve their users and businesses with Lean XP practices. 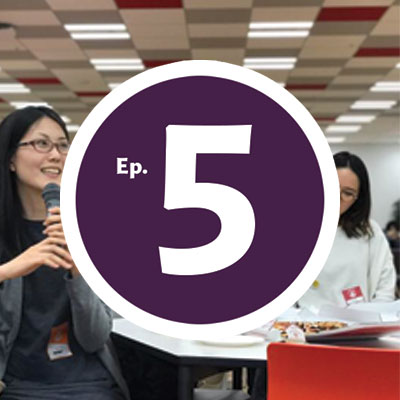 Yumi Koyama is a UX researcher at Farmnote, a Japanese B2B startup in the dairy and livestock sector. She will share her journey of how she became a UX researcher, and her new challenges in understanding the needs of dairy farmers to identify opportunities for data-driven herd management. Dara's talk will be in English, and Sakata-san and Koyama-san will have English slides. This is a free event, with food and drinks generously provided by Google Japan. Please fill out the form upon registering for this event, so that we can build a proper attendee list. @JohnnyLinnert published Design Research Tokyo: Season 1 Episode 5. Design Research Tokyo: Season 1 Episode 5 has been published! I joined Design Research Tokyo: Season 1 Episode 5!